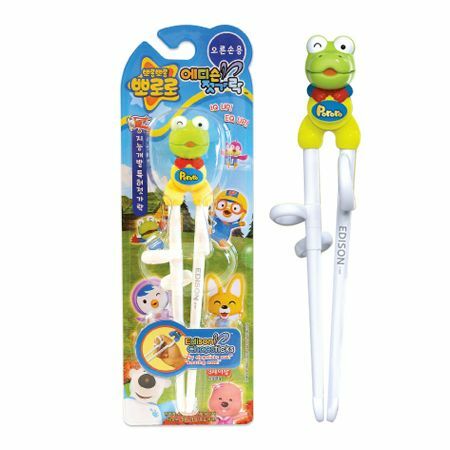 Chopsticks with very popular animation character, PORORO on the connecting part. Single package. 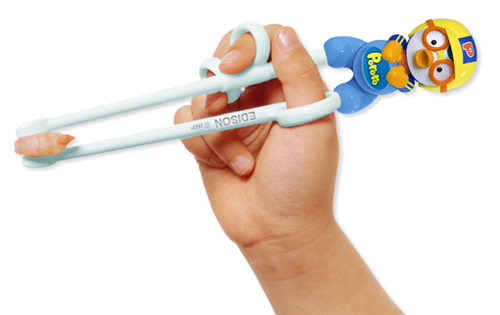 Easy training chopsticks for children 2 years and older. The unique three ring construction makes it easy and intuitive to use. Cute Korean character design from Pororo the Little Penguin cartoon. • Very cute & easy for kids. Well-colored. • Ergonomically designed considering the angle of each finger gripping chopsticks. • Dishwasher safe, top rack only.